Shipra’s love affair with cooking began at the age of nine. Shipra’s romance with everything culinary has only grown: from travelling the world propagating Indian food across the globe to her maiden book; The Spice Route, she explores different regions and cuisines, bringing some old favorites and some new discoveries together. 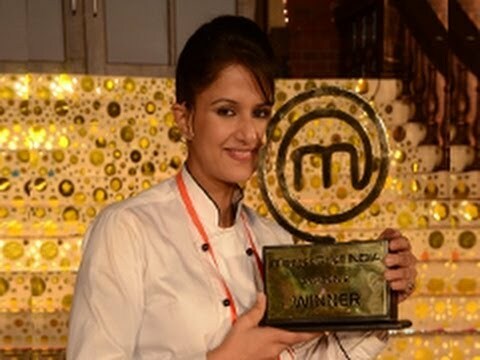 She is the winner of Master Chef India 2. Her specialty is Global cuisine, Indian, baking, Desserts and fusion food and she has started two restaurants. After winning Master Chef, she began to host her own cooking show "Kitchen Stars ka Safar" She is a Restaurateur, Chef, Consultant, Author and an Anchor for T.V. shows. She has been awarded “Women Chef taking taste beyond borders” by SAARC and SCWEC in Nepal and was representing India. She has been felicitated by the CM of Himachal Pradesh and Rotary International . She has also been awarded “Himachali of the Year”. She is "the Youngest and one of the most Glamorous chefs in the world" according to India Today. Her book "The Spice Route" 2014 talks about her journey as a chef and also displays her unique art of cooking, the book is well talked about. She is working on a few other books which will be published in 2015. She has travelled across India and the globe discovering ingredients and cuisines for a dream book called the “Spice Trail”Her second show "Pure Sin" is the first and the only dessert show in India and another show called "K for Kids", she has taught kids how to cook with lots of fun and learning games. Shipra has recently launched her own YouTube channel called "Shipra's Kitchen". Shipra has also done a lot of You tube videos for The Star network in India with leading FMCG brand and various other You Tube Videos featuring tips, tricks and recipes. She is the culinary connoisseur for "Tourism Australia" and Cox and Kings, where she has taken culinary journey all over Australia called "Masterchef Travel".